Hocking Hills is one of my favorite destinations in the United States and it certainly doesn’t hurt that it’s close to home for me. I can reach the Hocking Hills region in about two hours from my home in Northcentral Ohio, so I try to visit several times a year. There’s always something new going on, plus the area encompasses several small towns which means there are plenty of shops and activities that I’ve not even heard about yet! On my most recent trip, my husband and I were accompanied by my oldest son and his girlfriend. My son’s girlfriend had never been to the area, so it was fun to introduce her to some of our favorite activities and see the region through a first-time visitor’s eyes. 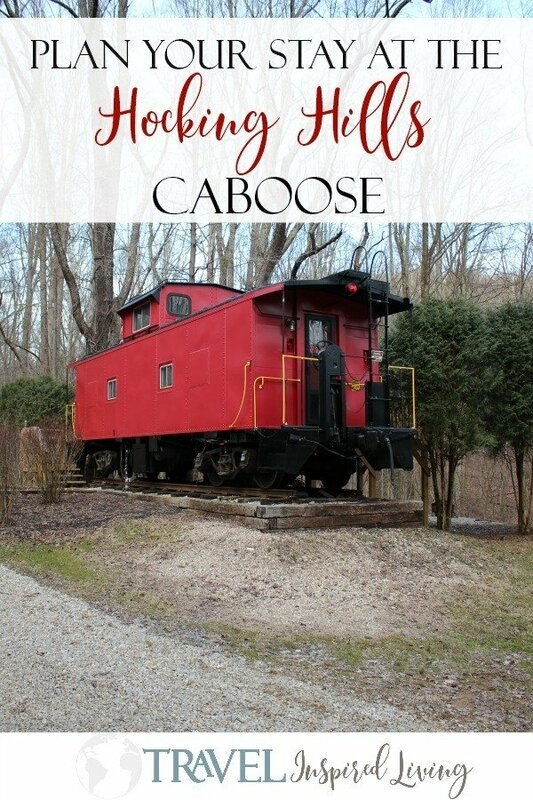 And while my husband, son and I have been to the area many times, we were staying somewhere new to us, the Hocking Hills Caboose. I first read about the caboose when my friend Leah wrote about her stay with her young family. Since I love all things quirky, I thought it would be fun to check out, so I was excited to learn that we would be the very first visitors of the season! Thankfully we had warm weather during our trip in early March and were able to make the most of our time. Originally, this was going to be a girl’s trip for Liv and me, but my son was off work with a broken arm, so I convinced my husband that he should take time off work too, so they could join us. I didn’t have to twist his arm too hard, but he was less than thrilled at the prospect of sleeping in a caboose. I was surprised because it’s not the first time we’ve slept in unusual or unique accommodations. Besides, this is the man that I convinced to sleep in a concrete teepee with me for our 25th anniversary! You would think he’d be a bit more adventurous. It turns out, my husband feared that the caboose would be in someone’s backyard in a hillbilly setting. His fears were unfounded. 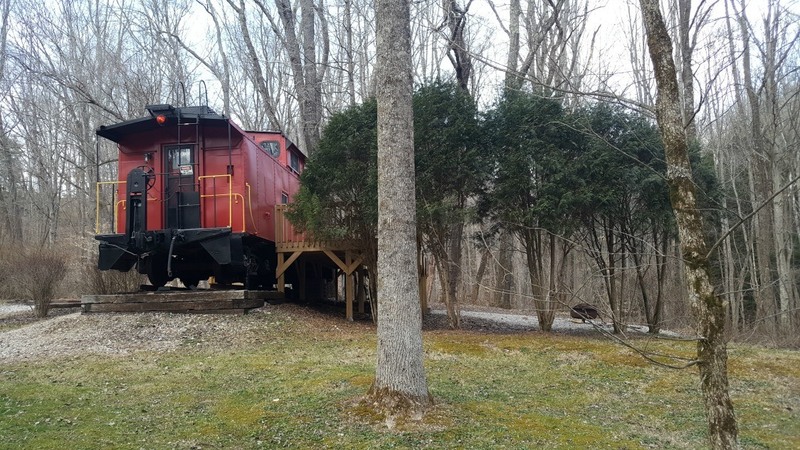 The Hocking Hills Caboose is situated on its own private, landscaped 10-acre property which is named the Steep Woods. I quietly laughed as my husband released an audible sigh of relief as we pulled into the drive. The train car was exactly as I imagined- if not better, which pleased my husband. The Hocking Hills Caboose was built around 1950 for the Seaboard Air Line Railroad by the International Car Company of Kenton, Ohio and used for many years until new braking systems for trains began to make the caboose obsolete. By the mid-1990’s, this caboose was slated to be sold as scrap and destroyed and landed in Columbus with other out-of-service cabooses. In a turn of events, they were sold to Hocking Valley Scenic Railroad for $300 each. Some were restored and remain in use by the railroad today while the Hocking Hills Caboose was towed to private property and converted into a guest cottage. 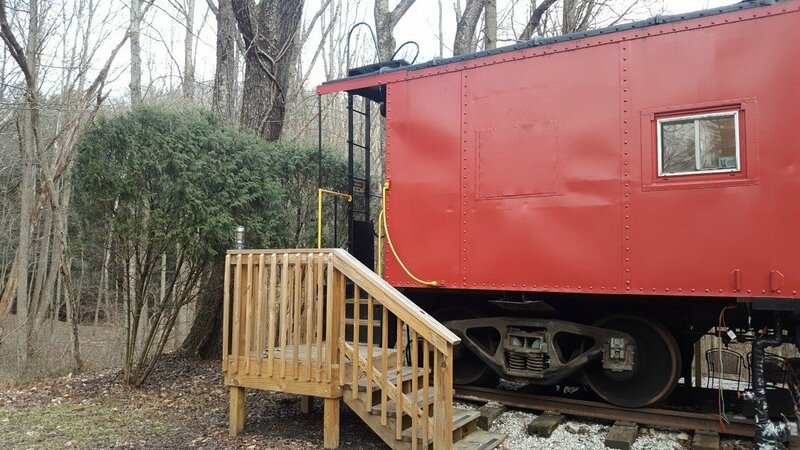 The caboose was purchased by new owner’s and in 2016 was completely updated to welcome new guests. I was dying to peek inside but as my family unloaded the van, I spent some time outdoors taking a few photos of the property before joining them. From the back door, you step inside the kitchen. The caboose is equipped with a kitchenette with a sink, a dorm-size refrigerator, and microwave. It also comes with tableware and cooking utensils, so you don’t have to pack everything from home. A table with bench seating is also located in the kitchen near a closet stocked with cleaning supplies and board games. 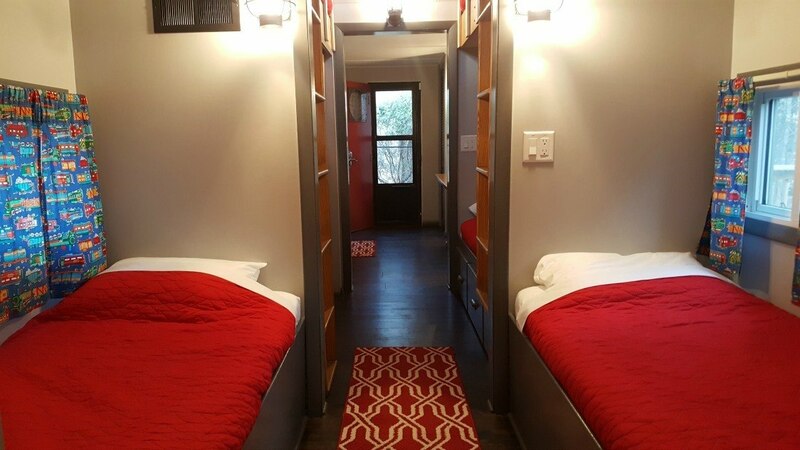 The caboose features an open floor plan with five single beds, two of which are bunks located in the cupola. 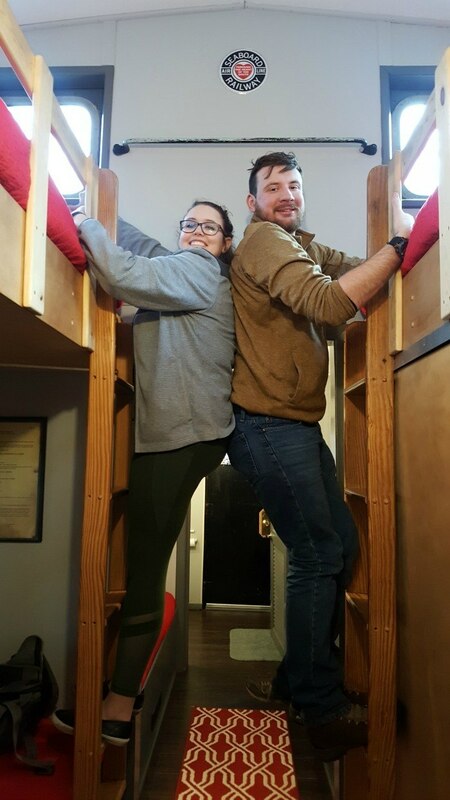 A broken arm didn’t stop my son and his girlfriend from claiming the top bunks while my husband and I were only too happy to relax on the lower bunks closest to the bathroom. The bathroom was much larger than I expected though the shower did remind my briefly of our RV days though instead of offering only a couple gallons of warm water, there was plenty of hot water to go around. A true luxury after spending time in the Hocking Hills State Park and adjacent hiking areas. The living space extends outdoors with a large deck, table and chairs and grill. Stairs lead off the deck to the fire pit that we were happy to use. It’s illegal in Ohio to pack firewood from home, but the gas station located a few minutes down the road sells local, affordable firewood. 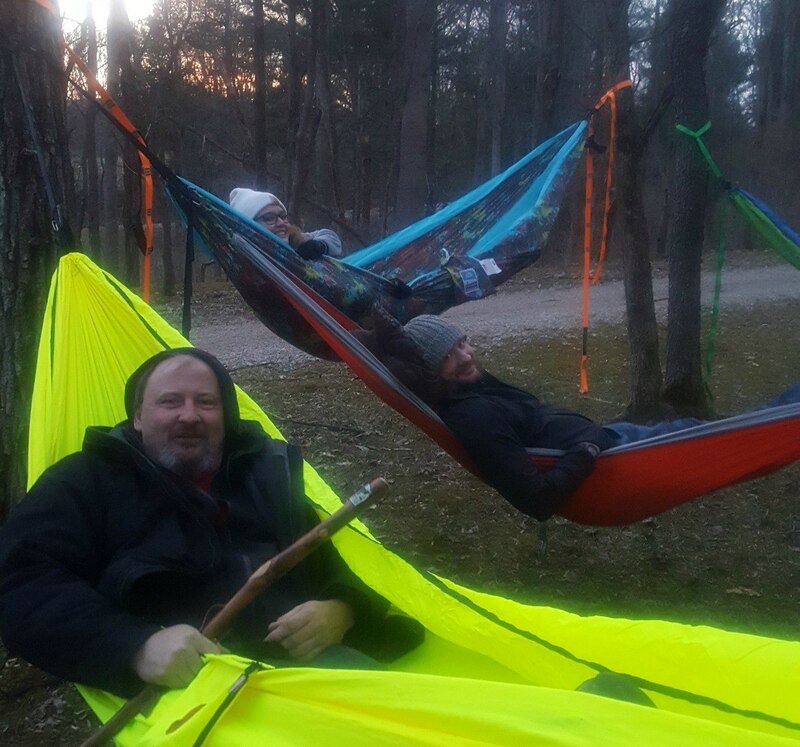 We also discovered that some of the trees in the front of the property lent themselves perfectly to our new obsession, hammocking. 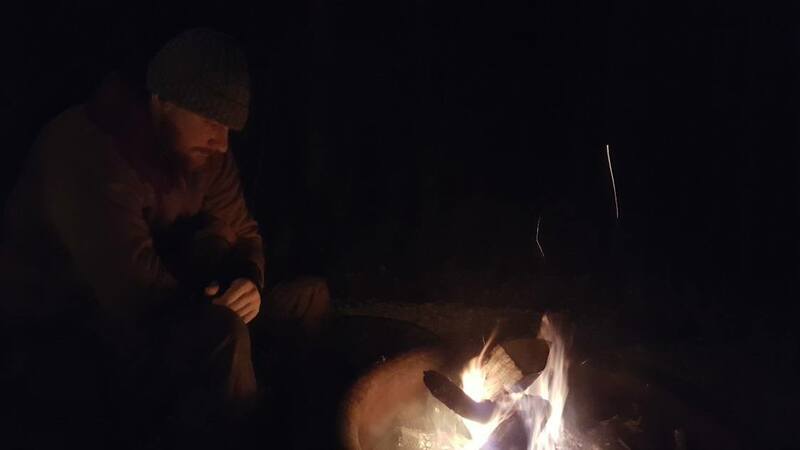 We spent several hours over the course of our stay in our hammocks, watching the moon rise and gazing at the stars through the treetops. The Hocking Hills region is one of the best places in Ohio to see the night sky which, is why the John Glenn Astronomy Park is located right down the road and set to open in June. While the Hocking Hills Caboose is conveniently located near some of the area’s most popular hiking trails, Ash Cave, Old Man’s Cave and Cedar Falls, it is about a 20-30-minute drive from the nearest town which is great for a getaway. However, if you plan to save a bit of money and prepare your meals at the caboose, make sure that you have planned accordingly and pick up your groceries before you arrive. I forgot to pack the ingredients for S’mores and ended up paying over $6 for a box of graham crackers at the nearby gas station/convenience store. Ouch! 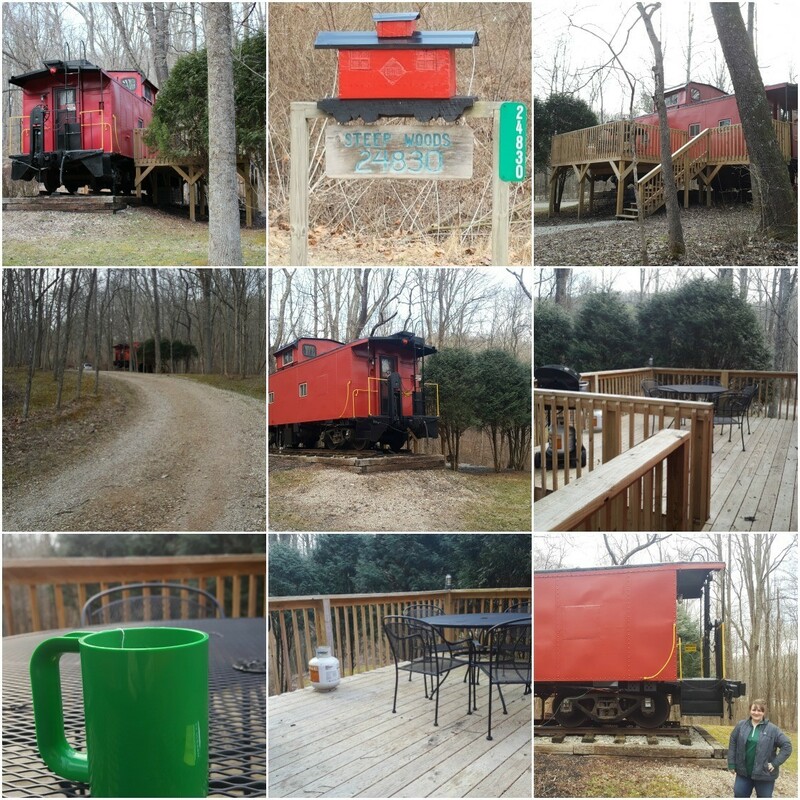 Our stay in the Hocking Hills Caboose was a special treat. The weather was amazing and spring-like during our stay- which is surprising considering how our winter in Ohio has been. We spent the morning and afternoons in town and evenings at the caboose hanging out in our hammocks or around the fire. We couldn’t have asked for a better experience. 1. This Hocking Hills cabin tends to book up quickly so if you have a date in mind for a Hocking Hills getaway, reserve your stay now. Linens are provided, but If you’re someone who really enjoys snuggling into your pillows and blankets, pack a sleeping bag or extra blanket or two and some pillows. My husband is always hot, while I’m always cold so we rarely find a happy medium unless I have extra blankets to bundle up in. Games are provided, but if you have a favorite family board game, make sure you pack it as well. Be prepared to disconnect. 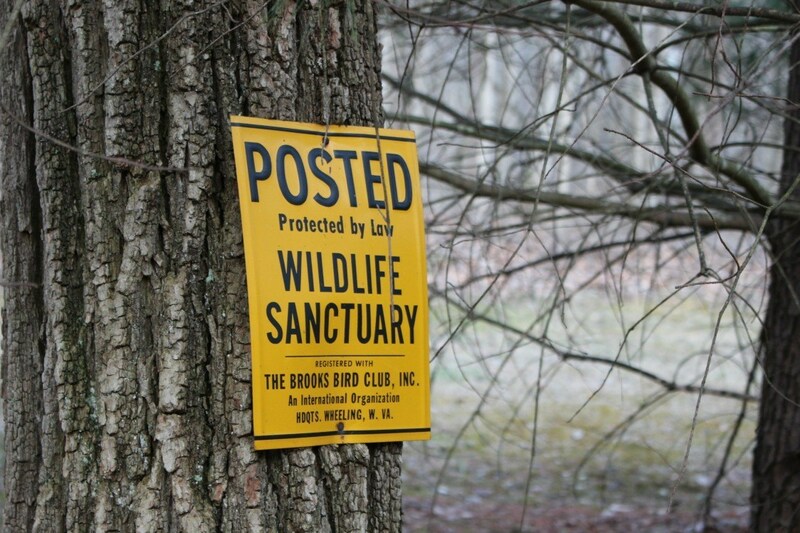 You won’t find a TV and chances are, you won’t have cell service which is pretty standard in the Hocking Hills region. The Caboose does have a landline with free calls so if you need to reach someone at home you can do so. Learn from my mistake and don’t forget the ingredients for S’mores. Just sayin’. 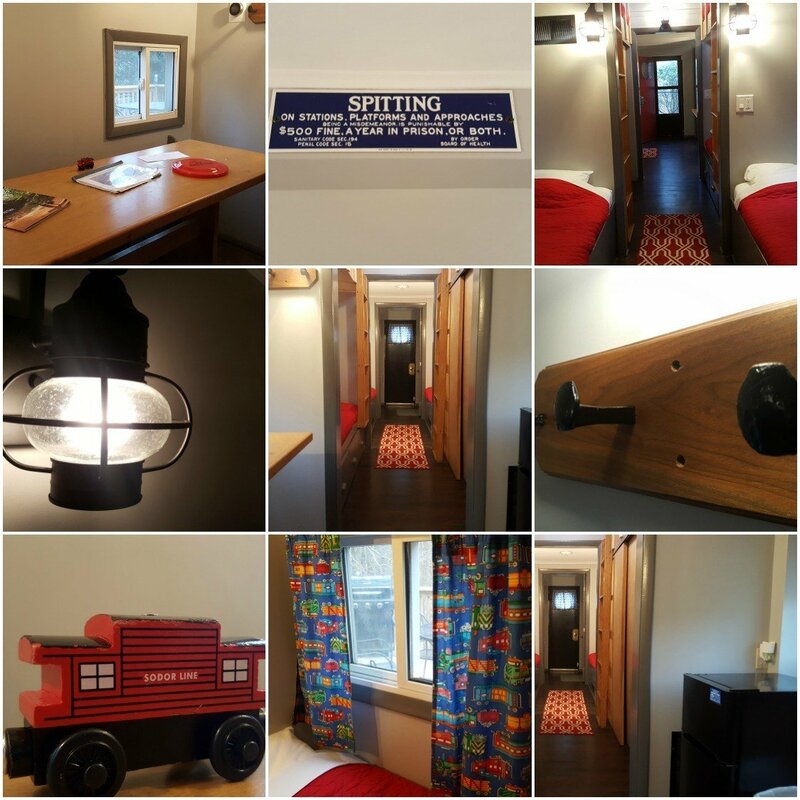 The Hocking Hills Caboose is a great choice for family-friendly accommodations in Hocking Hills. My husband and I enjoyed it with our grown son and his girlfriend but would have enjoyed it just as much if our kids were younger. You’ll find plenty of space inside for five, and lots of room outdoors to run off some energy and enjoy the natural surroundings. 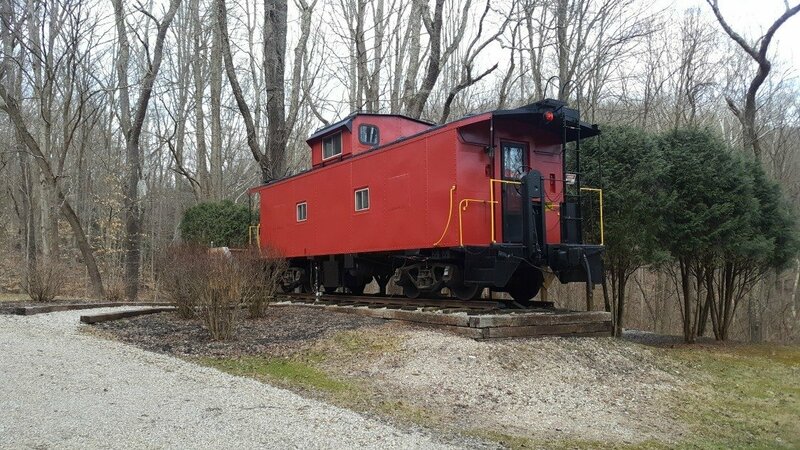 You can learn more about the Hocking Hills Caboose and book your stay here.